If you or a family member experiences a painful tooth emergency, we hope that you will contact us at Londonderry Family Dentistry for emergency dental care. Our expert and highly trained emergency dentist Londonderry is Dr. Jana Trnovsky. If you are experiencing sharp dental pain, or have a nagging toothache, our emergency dentist Londonderry will be able to determine the exact cause of your tooth pain and provide you with the exact dental treatment that you need. If you have a tooth which begins to hurt when you eat something hot or cold, you may have a tooth which is infected in its interior. If this is the case, you will need to have a root canal treatment which will remove all infection from the interior of the tooth. Today, root canal treatments at our office are performed while our patients remain in total comfort due to the use of local anesthetics. Root canal treatments are effective in saving teeth in over 90% of cases. However, if you have an infected tooth and you do not have a root canal treatment, there is absolutely no way that the tooth will be saved. Additionally, odds are greater that a root canal treatment will be successful the earlier the treatment is performed. For this reason, you will not want to put off seeing our emergency dentist when you have this type of toothache. If you have a tooth that becomes painful when you eat something sweet, you may have a dental cavity. Our dentist will be able to determine the exact cause of your tooth pain, and provide you with the exact care that you need in order to have you feeling better in a short period of time. Toothaches should never be ignored, whether they are dull and simply aching, or whether they are causing serious pain. Should you ever need to see an emergency dentist Londonderry, we hope you will not hesitate to contact us. 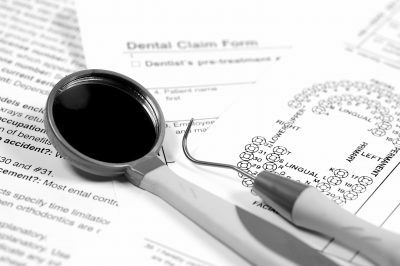 We are always available to help you at our dental practice, and will always make time to see our emergency dental patients.